Salesforce certification proves your skills on one of world’s top CRM platforms. These Salesforce certifications help professionals to kick-start their career. Software developers, solutions architects, project managers, marketing and sales professionals have found Salesforce certifications very effective. These certifications highlight the mastery of niche roles and candidates for a good career in IT sector. Salesforce has certifications in administrator, advanced administrator, platform app builder, and CPQ Specialist exams. Those who wish to take these online exams will be working with stakeholders to strategize requirements, customize and enable users to get the optimum out of it. The Administrator exam is for those who have experience with Salesforce and looking at getting even more additional features and capabilities. The Advanced Administrator exam is for more seasoned Salesforce Administrators who are experts in using advanced features and functionalities for various business challenges. Platform App Builder credential is designed for who possess the skill sets and knowledge in building, designing and implementing custom applications using the Salesforce platform. The Salesforce CPQ Specialist credential is designed for those who have experience in implementing Salesforce CPQ. This certification enables the specialist to display his knowledge in designing, implementing and building with Salesforce CPQ. 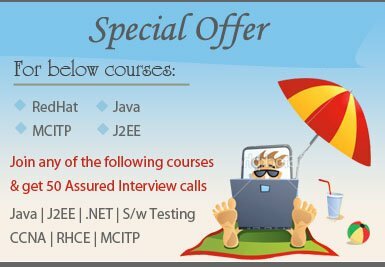 These credentials consist of a 3-tier certification that acknowledges the skills and knowledge in the Salesforce platform.The Salesforce Architecture Designer credentials endorse the knowledge and expertise of various specializations.The Salesforce Application Architect and System Architect exams recognize professional in this domain. The Salesforce Technical Architect exam is the prestigious certification for individuals who demonstrate the knowledge, skills, and capabilities to design and build high-performance solutions on the Salesforce platform across the domain expertise. The Salesforce Platform App Builder credential is created for those who display skills and knowledge in building, designing and implementing custom applications using the customization capabilities of the Salesforce platform. The Salesforce Platform Developer I credential is designed for those who have the experience and skills to build custom applications on the platform. The Salesforce Platform Developer II credential is designed for those who have skills in advanced programmatic skills of Salesforce Platform and data modeling to create complex business logic and interfaces. These exam certifications are designed for those having extensive experience in full-stack development for Salesforce Commerce cloud Digital. A Salesforce marketer creates marketing campaigns to connect with customers and deliver effectively to the customer on a one to one basis. This certification is designed for those individuals who demonstrate skills and knowledge in email marketing, and best practices. This includes designing messages, subscriber and data management, inbox delivery and external integrations with Marketing Cloud email application. Experienced professionals in Salesforce Marketing Cloud email application tools providing solutions to execute tactical and strategic mail campaigns. Candidates with broad knowledge Salesforce work with stakeholders to define the requirements. The Salesforce Pardot Specialist credential is designed for those demonstrating skills and knowledge in designing, building and implementing marketing workflow through this platform. The Salesforce Pardot Consultant credential is designed for professionals having experience implementing Pardot solutions that cater to customers’ business requirements and contribute to their long term success. The Salesforce Community Cloud Consultant credential is created for experienced professionals who can implement and consult on Community Cloud in customer facing role. They should be able to troubleshoot and solve platform issues. Those with extensive experience in administration and configuration of Salesforce and able to consult with customers on service operations can take up these exams. Salesforce Cloud Consultant credential who can set up and implement the Marketing cloud email application tools, providing solutions to execute strategic email campaigns. Candidates with a broad knowledge of Salesforce applications work with stakeholders to define requirements. The Salesforce Non-profit Cloud Consultant credential is designed for consultants with experience in designing and implementation of Salesforce Non-profit Cloud solutions in customer facing role to meet business requirements. The Salesforce consultant certifications are designed for experienced implementation of Pardot solutions in a customer-facing role. Professionals should design and implement Pardot solutions to meet customers’ business requirements. The Salesforce Sales Cloud Consultant credential is designed for experienced candidates who can implement sales cloud solutions in a customer-facing role. Candidates should be capable of designing and implementing sales cloud solutions that are maintainable and scalable and contribute to long-term customer success. The Salesforce Service Cloud Consultant credentials are created for those individuals competent enough to implement service cloud solutions. The online exam is for those who can design and implement service cloud solutions that meet customer business requirements, are maintainable and scalable and contributes to customer success.